I hope I’ll see you there if you live in the area! There will be a podcast of the talk, and I’ll also put my slides up on my blog. To help with the upcoming talk, I added the archive page for Michael William Balfe’s “Come into the Garden, Maud”. I’ll be adding the analysis page in the next few weeks. Stay tuned for a blog post later this week with my slides from my talk! 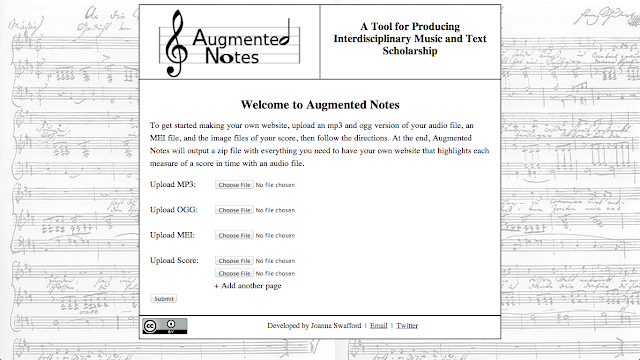 Cite this post: Annie Swafford. 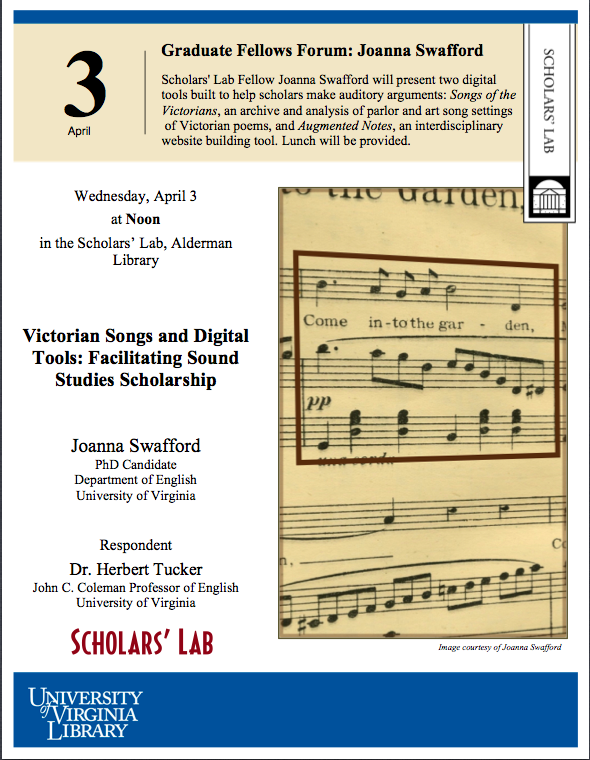 “Scholars' Lab Talk, Archive Page, and Future Plans: Songs of the Victorians and Augmented Notes”. Published April 01, 2013. https://scholarslab.lib.virginia.edu/blog/scholars-lab-talk-archive-page-and-future-plans-songs-of-the-victorians-and-augmented-notes/. 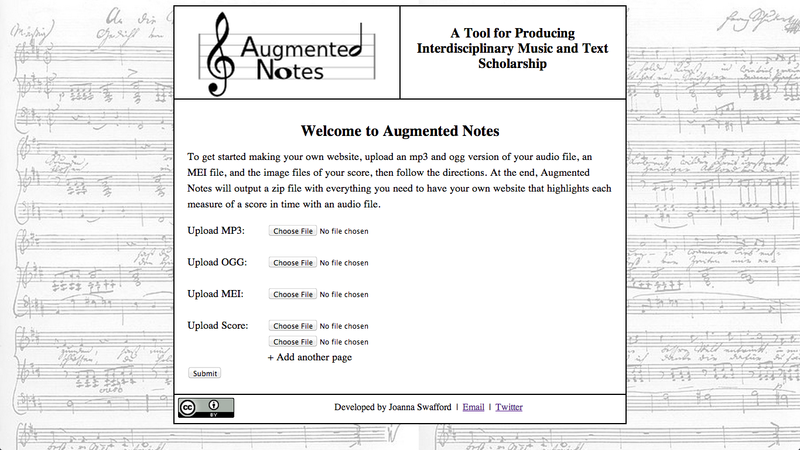 Accessed on .